I used my frankened cream colour for the tips and stamped over with GOSH Nero. I actually tried another tip stamp, this time from the old bundle monster set. 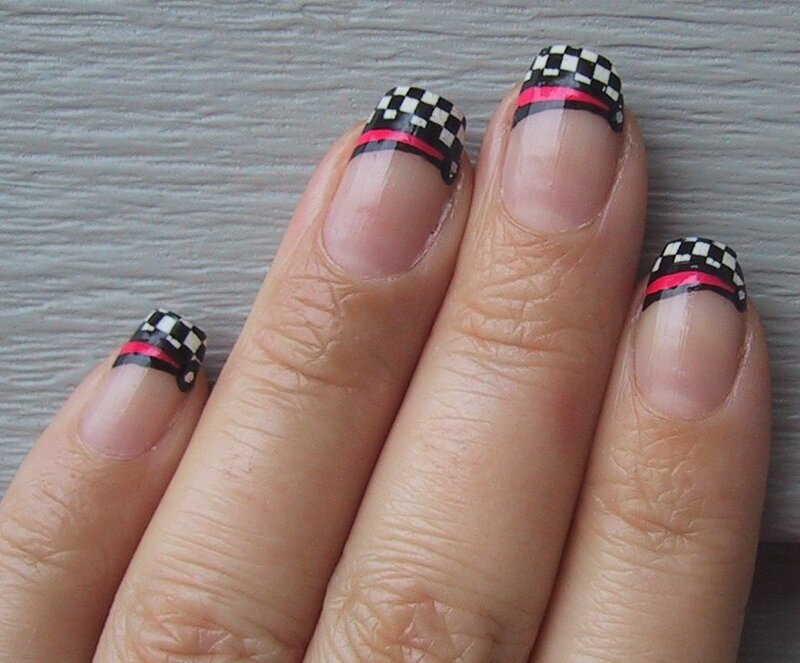 It worked great and I only had to touch up the tips of my thumbs which (even though I file the edges down considerably so they aren't under so much stress) were still too wide for the stamp. 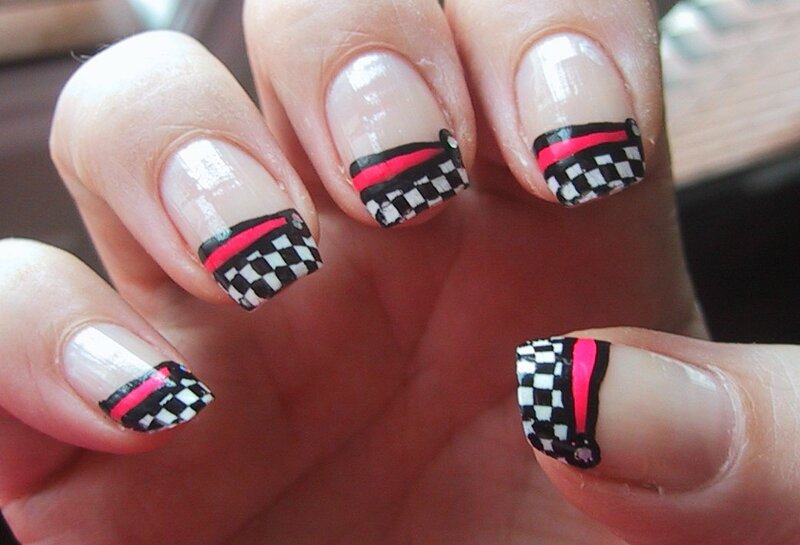 I used Art Decos for the black and pink horizontal lines and a blob of black with a holo hex glitter on one side. I got a little smudging with the Seche Vite, because I wasn't as careful about not going over the same spot twice. Thank you to The Nail Buff for tagging me with the Kreativ Blogger Award! I appreciate it! Cheers! I am going to leave links to a few of the blogs that I enjoy, but I don't want anyone to feel pressured to pass it along, I just hope that if you see this post and haven't yet been to any of these awesome blogs you should go check them out. 1) I am a fibre artist who'll try any creative process at least once, but my real joy is with tapestry. 2) I have a son who's already turning 2 at the beginning of June. How time flies! 3) I love nougat and salt water taffy, but my poor teeth don't! 4) If I ever see wet black soil I feel this incredibly strong urge to take off my shoes and socks and squeesh my toes in it. 5) I can wiggle my ears. 7) I love loose leaf tea. I have quite the stash. But coffee still wins. 8) I used to smoke a pack a day. I've been quit for almost five years now. 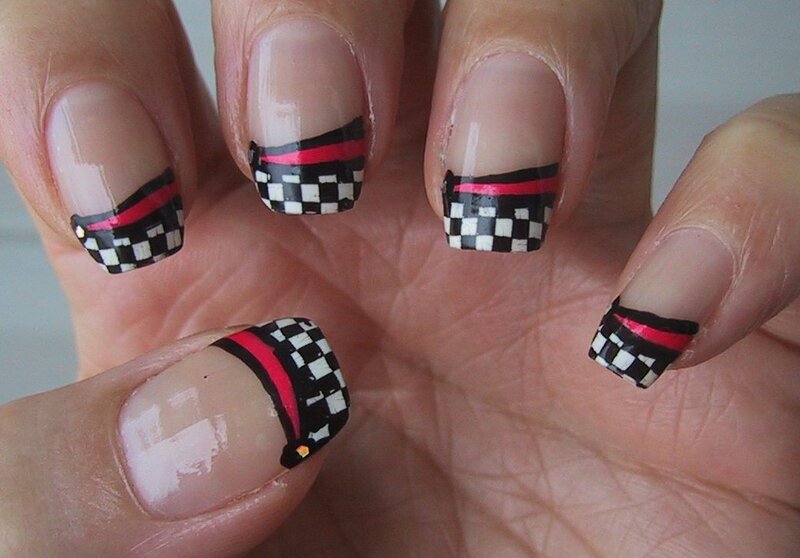 9) Before I collected nail polish I was MAD into stickers. I have a big shoe box full to the brim with them. I couldn't walk into any kind of store without checking for a sticker rack. I used to cover my journals and notebooks in them. I have a file box that is plastered with them. My guitar case almost fell victim. 10) I'm almost ready to post my 200 follower giveaway! It is my first giveaway ever and I'm really excited about it! 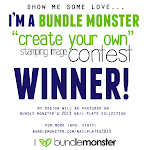 I am itching to check my MAIL for the bundle monster plates! I think they'll be here today! eeeeeeeeeeeeee!!!! Lavendar Fishnet Tips with Teal.